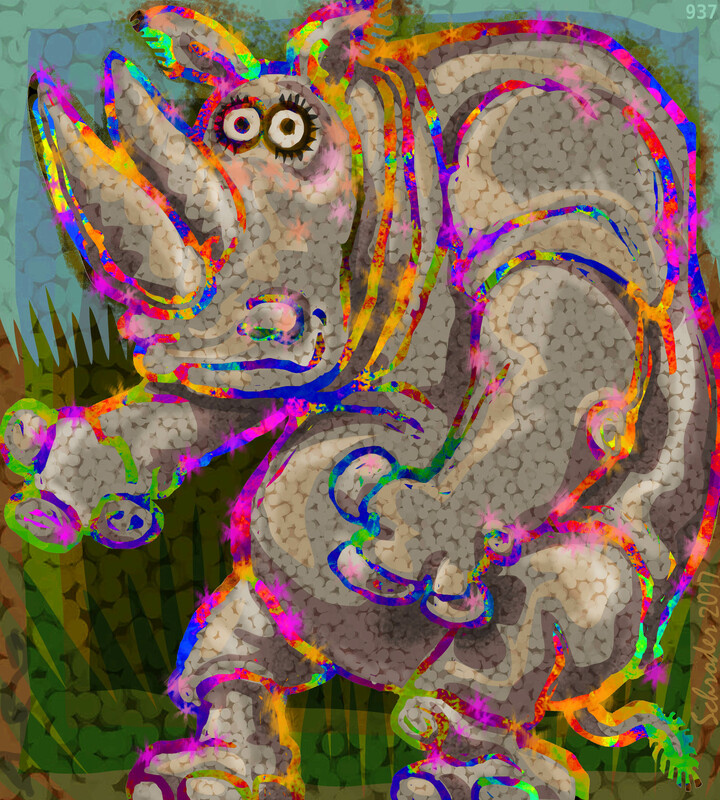 An advantage of having Bulk is that there are so many places for our Inner Rhinotude to shine forth. Rhinos stand, awash in our own Natural Positivity. We see one another through this specialized Effusion. Our true colors, shining through. Small wonder Rhinos are so upbeat. Like so many of these posts, this one is hard to pin down, to identify what truth it is touching that companions the spirit, that makes it so deeply resonant with the soul. But this one is special. We’d like to say that the posts are illuminating and focused, but We are always surprised of which ones resonate with what Reader. And half the time We think We are saying one thing, and it turns into something else partway in. It’s all hard to pin down, no joke.